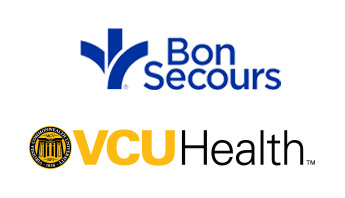 In partnership with Bon Secours and VCU Health, Virginia Premier offers a variety of health insurance plans to fit your budget and health care needs. Locate doctors and hospitals in the Virginia Premier network. Search for medications you may need and see if your plan covers them. We offer members a wide range of services with an excellent network of doctors, hospitals and other healthcare providers. Our Bronze 6600 plan provides the same essential health benefits as all of Virginia Premier’s individual plans. This plan has the lowest monthly premium, with higher out-of-pocket costs when you receive care. On average, this plan pays 60% of your medical expenses, while you pay 40%. Our Silver 6500 plan has higher premiums and deductibles than our Silver 4500plan. Our Silver 4500 plan has lower premiums and deductibles than our Silver 6500 plan, with a lower deductible than our Bronze 6600 plan. Our Gold 1600 plan offers the most comprehensive set of benefits. It has the highest premium, but the lowest deductible and out-of-pocket costs when you receive care. On average, this plan pays 80% of your medical expenses, while you pay 20%. Have you recently lost your health insurance coverage, gotten married, or are you adopting a child or having a baby? If so, you may qualify for a Special Enrollment Period (SEP) and you usually have up to 60 days following the life-changing event to enroll in a health care plan. Visit HealthCare.gov to learn more and enroll in a Virginia Premier plan online. Virginia Premier provides plan comparisons, as well as summaries of benefits and coverage for you to review before choosing a health plan. Our network of providers allows you to get the best care in your community when you most need it. 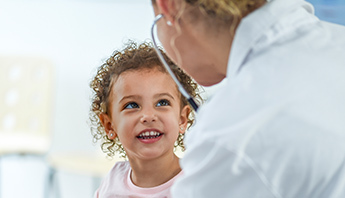 Virginia Premier’s provider partners of Bon Secours and VCU Health grants you access to doctors, hospitals and clinics that you are familiar with and are conveniently located throughout the central Virginia area. One of our goals in providing health insurance in the Affordable Care Act health exchange is to offer affordable health insurance to Central Virginians. We want to be your health care insurer at all stages of your life, whether you qualify for Medicaid, Medicare or our new Individual product. Our focus is on you, our member and we work hard to make sure you have options when it comes to your health care coverage. As a provider-owned health insurer, we understand that the patient comes first. 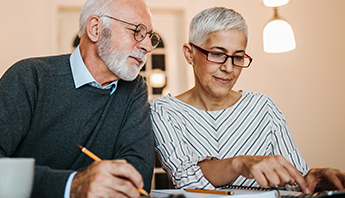 Virginia Premier, powered by VCU Health, has been serving the community since 1995, offering a variety of Medicare Advantage and Medicaid plans to those in need. Our Exchange product, Virginia Premier Preferred, is no different – we strive to provide a trusted name to your health care needs, no matter your situation. Use our glossary of common health insurance terms to help you understand your insurance and benefits. To learn more about specific plan coverage, read our plan documents. Co-payment – A fixed dollar amount you pay for a covered health care service, usually at the time you receive the services. Co-pays do not count toward your deductible. Co-insurance – The percentage of costs of a covered health care service you pay after you’ve paid your deductible. Deductible – The amount you pay for covered health services before your insurance begins to pay for your health care. Formulary – A list of prescription drugs, both generic and brand name, covered by an insurance plan. Out of Pocket Maximum – The most you have to pay for covered health care services, including deductibles, copayments and coinsurance, in a plan year. Prescription Drug – A Medication that, by law, requires a prescription to be dispensed. Primary Care Physician – The particular doctor you select to be your main doctor to monitor your overall health.